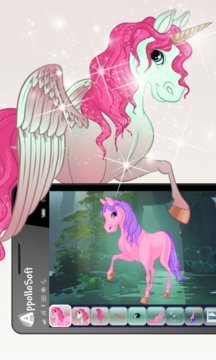 My Lovely Unicorn application created for lovers of Unicorn. Here you can find almost all your favourite cartoon characters! Help them to choose the best clothes and accessories which suit them to make them look beautiful. They are ready to play dress-up with you. This game will develop your sense of taste and fashion skills. This game will become inseparable part of your Windows phone. 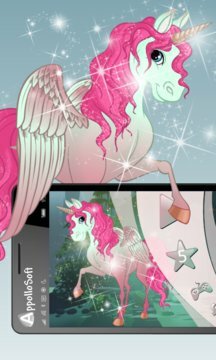 Help Unicorn to choose clothes and our team will help you suggesting different clothes.